The destruction of tropical forests is a major challenge for global development, threatening precious livelihoods, biodiversity and the earth’s atmosphere. In all, tropical deforestation contributes about 12 percent of the global carbon dioxide emissions causing climate change. Indonesia is one of the world’s largest emitters of carbon emissions, owing mainly to companies clearing large tracts of forest and peatland to cultivate oil palm and grow pulpwood for paper. That’s why a major announcement from the recent U.N. Climate Summit has attracted so much global attention. Four of the world’s largest palm oil companies agreed to stop clearing and burning high carbon stock forest and peatland in Indonesia. Clearing peatlands in particular releases dangerous amounts of carbon. According to one recent study, from 2000 to 2012, Indonesia lost about 6 million hectares of primary forest, an area half the size of England. Indonesia’s Chamber of Commerce and Industry, KADIN, was the leader in forging this landmark “zero deforestation” commitment. 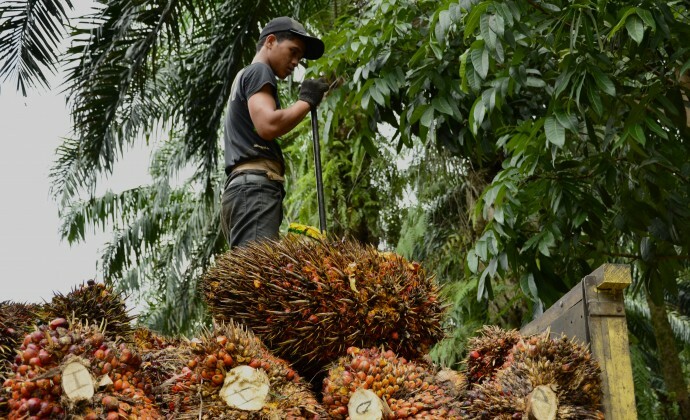 The four companies that signed on – Wilmar International, Golden Agri-Resources, Asian Agri and Cargill – together account for about 60 percent of globally traded palm oil, the world’s most widely used edible oil. Globally, the world consumes more than 50 million metric tons of palm oil per year – about the weight of 500 cruise ships stretching 100 miles out to sea. We use palm oil for cooking and in products ranging from cookies to cosmetics. And while oil palm produces more oil per acre than other crops, clearing native forest to plant it not only releases carbon dioxide into the atmosphere, it destroys a precious resource for millions of Indonesians, who depend on forests to supplement nutrition and livelihoods. This makes conserving forests a win-win proposition at a time when the world is increasingly feeling the effects of climate change. The commitment by palm oil companies is in the spirit of Tropical Forest Alliance (TFA) 2020, a public-private partnership kicked off by the U.S. Government and the Consumer Goods Forum, a global network of companies including Unilever, Nestle, Cargill, Coca-Cola, Proctor & Gamble and others, whose sales add up to more than $3 trillion per year. TFA 2020 is working to curb forest loss caused by major commodities, starting with palm oil, paper, soy and beef, which account for about 40 percent of tropical deforestation. Partners include governments, businesses and civil society organizations from around the world. As the world’s largest palm oil producer, Indonesia has been a focus of U.S. Government and TFA 2020 support. President Susilo Bambang Yudhoyono pledged to cut carbon pollution between 26 and 41 percent by 2020, and we and other U.S. officials have been working closely to support Indonesian officials in meeting that pledge.Vice-chairwoman Shinta Kamdani said KADIN became involved because individual Indonesian companies would not reach national emissions targets acting on their own. “When we set a vision, we can’t do it halfway,” she said. With U.S. Government assistance, KADIN and the other signatories are now working to identify policy and regulatory reforms that will create incentives to encourage the conservation of high carbon stock forest instead of clearing and burning. 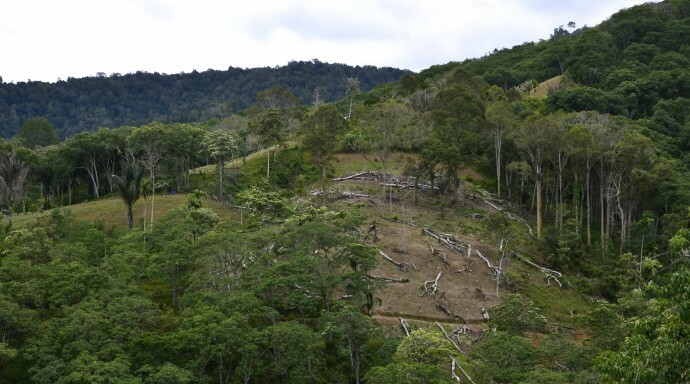 At the local level, companies still have strong incentives to clear forests. They can sell the timber, legally or illegally harvested, and unused land can be confiscated by the government after a certain period of time. Laws also require companies to process whatever palm fruit arrives at their mill, making it difficult to discriminate between sustainable palm oil and palm oil originating from deforested land. Last week’s announcement is an encouraging milestone on Indonesia’s path to cleaner, more sustainable growth. The United States stands with Indonesia on this important journey.